When news comes of Muslims engaging in violence, the triad of politicians, law enforcement, and media invariably presumes that the perpetrator suffers from some mental or emotional incapacity. (For a quick listing of examples, see my collection at "Sudden Jihad or 'Inordinate Stress' at Ft. Hood?"). Instead, I argue, they should begin with a presumption of jihadi intent. That is, the default expectation should be ideological passion, not insanity. Spreading Islam and applying Islamic law are the goals. Of course, some crazy Muslims exist and they do engage in violence, but they constitute a microscopic percentage of the 15,247 Muslim terrorist incidents since 9/11, as counted by www.thereligionofpeace.com. The failed effort to blow up an SUV in New York's Times Square prompted speculation about the would-be bomber's motives even before the identity of Faisal Shahzad, an immigrant from Pakistan, had been made public. The Nation's Robert Dreyfuss discounted the possibility of a jihadi from the Pakistan-based Taliban, "it seems far more likely to me [he] was either a lone nut job or a member of some squirrely branch of the Tea Party, anti-government far right." The establishment agrees - Islam played no role in Faisal Shahzad's attempted terrorism. Mike Bloomberg, mayor of New York City: the bomb could have been placed by "somebody with a political agenda who doesn't like the health care bill or something. It could be anything." Mahkdoom Qureshi, Pakistan's foreign minister: "This is a blow back [for U.S. military activities in Pakistan]. This is a reaction. This is retaliation. And you could expect that. Let's not be naive. They're not going to sort of sit and welcome you eliminate them. They're going to fight back." Nadeem Haider Kiani, spokesman for the Pakistani embassy in Washington: it's too soon to tell exactly what motivated the bomber but early indications suggest he is "a disturbed individual." Cable News Network: "It can confirmed that his house has been foreclosed in recent years. I mean, one would have to imagine that brought a lot of pressure and a lot of heartache on that family." CBS News: "It isn't clear if more suspects are at large OR what the motive could be." The Washington Post: Under the title, "The economic crisis meets terrorism," Ezra Klein notes that Shahzad's house was foreclosed and comments: "This guy is like string theory for the media: He brings together the seemingly incompatible stories that drove the past decade. That said, you of course don't want to speculate on why someone 'really' did something. The hearts of men are opaque, and motives are complex." (1) Some of these interpretations say the motives are mysterious, some of them speculate about one thing or another – but all assiduously avoid the elephant in the room. (2) You can't win a war if you don't have the courage to name the enemy. (3) Naming the enemy means changing some of the more pleasant aspects of Western life, and so is tough to do. (4) I expect that naming the enemy will occur only after a cataclysm ends our patience with minced words. 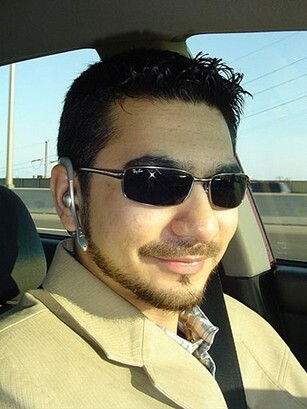 May 5, 2010 update: Unsurprisingly comes news from Pakistan that Shahzad has connections of Islamist terrorism, as reported by Alex Rodriguez in the Los Angeles Times, "Link emerges between Times Square bomb attempt and Pakistani militant group." One of the men arrested in Pakistan in connection with the failed attempt to bomb New York's Times Square is a member of Jaish-e-Muhammad, an Al Qaeda-allied Pakistani militant group, intelligence sources in Karachi said Wednesday. The revelation marks the first time that a specific Pakistani militant group has been associated with the case of Faisal Shahzad, the 30-year-old Pakistani American charged in the failed bomb plot. But it does not necessarily mean that the organization engineered the plot or directed Shahzad's actions. May 11, 2010 update: Robert Wright disputes my logic today in "The Making of a Terrorist": picking up on the fact that Shahzad "reportedly told investigators he was upset about the drone strikes" carried out by the United States in Pakistan, Wright concludes that "American policies may cause terrorism" and argues that "counterproductive hawkish policies" go far to account for the mentality of someone like Shahzad. To which I reply: Wright has accepted the Islamist canard about the U.S. government being "at war with Islam." In fact, Washington has always been careful not to do that but to focus on Muslim enemies while helping Muslim friends. Indeed, the government trips over itself and goes to far in both words and deeds to burnish its pro-Islamic credentials. Aug. 27, 2010 update: Ben Voth's list of "Top Ten Things America Has Done for Muslims" neatly makes my point about Washington helping Muslim friends. His list includes Yugoslavia 1995, Iraq 1991, Iraq 2003-, transferring a trillion dollars paying for oil and gas, Afghanistan 2001, tsunami 2005, remittances, freedom of religion, and the war on terror.